How to choose the best VPN services? In a world where global surveillance has reached unprecedented numbers in recent years, online privacy has become an issue for the average user. Comments you leave, pictures you upload, sites you visit – all this information is visible to your Internet Service Provider, the government or the average hacker. And while you might not be doing anything “illegal” on the Internet like downloading movies, songs or games, it’s still not a pleasant thought that your actions and observed, recorded, and stored. Your data could also be sold to third parties without your consent. What can you do to fight against this massive surveillance conspiracy? Currently, VPNs are one of the best ways to hide your identity online and remain anonymous. But which VPN is the right one for you? After all, there are so many out there in the Net, and it might be hard to choose one if you’re not familiar with VPNs. Don’t worry. I’m here to help you. I’m going to present to you the five best VPN services for staying anonymous while surfing the Net. Virtual Private Networks create a secure, encrypted link between you and a private server. Imagine it like this. All your data, information, communication goes through a solid tunnel, and no one can sneak a peek inside, including hackers, governments or ISPs. You’re safe from prying eyes and what you do remains hidden. But not all VPNs offer the same level of security. So to choose the best VPN services, you have to know a couple of things first. Both of these encryption protocols offer solid speed and secure connection. The main difference between the two is that IKEv2 is not an open-sourced product and it’s not supported on many platforms. Other protocols like L2TP w/ IPSEC have some known vulnerabilities, so they can’t be trusted to protect your data. In any case, you should stay away from VPNs using PTPP encryption since this is a very unsecure encryption protocol. ​Don’t trust VPNs that keep browsing logs and collects data. No use of such VPNs at all. Don’t trust VPNs that keep browsing logs and collects data. No use of such VPNs at all. ​Connection logs are okay to some extent. It depends on what the VPN stores and when and how it gets deleted. I recommend reading the fine print carefully before you sign up for any online services. Connection logs are okay to some extent. It depends on what the VPN stores and when and how it gets deleted. I recommend reading the fine print carefully before you sign up for any online services. ​Your best choice is a VPN that doesn’t keep any logs and information about your activity online. Your best choice is a VPN that doesn’t keep any logs and information about your activity online. As people say, there is no such thing as free lunch. This is so true when it comes to VPNs. Of course, you’ll find ads for many free VPNs, but you might end up with malware or ransomware. What’s more, some free VPNs are so compromised that hackers might steal your money and identity. 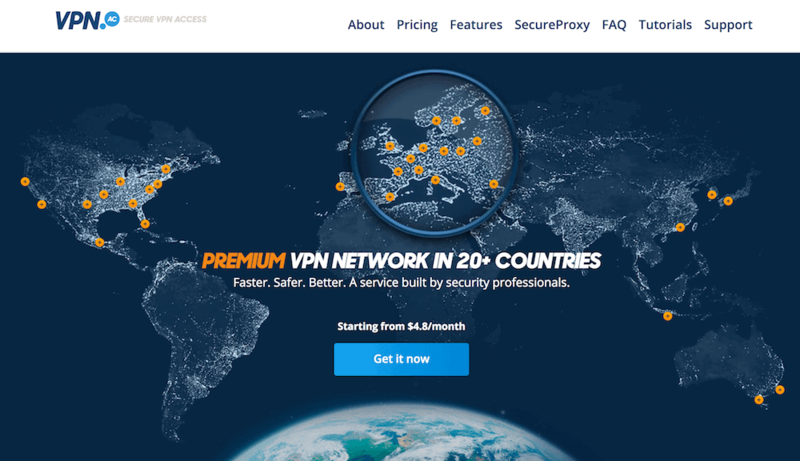 Most VPNs services offer discounts for 6-month or 1-year subscription. However, paying $60-$100 for something you haven’t tested is not a good idea. Fortunately, some VPNs offer a free trial. Use it to determine if the VPN works for you. Or buy a one-month subscription to see how things work. You should also check how support function in case you encounter a problem. Good VPNs have at least 24-ticked base support, while the best one must have live support. Another important aspect of choosing a VPN is to check how many servers it offers and where they are located. If you want to watch BBC, for example, the VPN must have a UK server. And if you’re going to access content available only in Spain, you need a server located in Spain. So, the best VPN service offers geologically diverse servers and fast speed. Since your Internet speed will be affected to some extent, you want a VPN with enough servers which won’t get overpopulated by users. Moreover, it’s important to consider whether the VPN is compatible with other operating systems such as Mac and Linux. You might be using Windows now, but you might decide to switch in time, so it’s better to think ahead. The primary purpose of every VPN is to keep your information and data encrypted. However, since most of the good VPNs are paid, you must take into account all the extra features they’re offering. After all, you want to take your money’s worth, right? ​Kill switch, which cuts your connection to the Net in case the VPN connection fails. Kill switch, which cuts your connection to the Net in case the VPN connection fails. You should also keep an eye on the number of connections the VPN services allow for one subscription. You want enough connections to secure your phone, tablet or other smart devices. And depending on how much security you want, you might consider a VPN you can configure on your router. 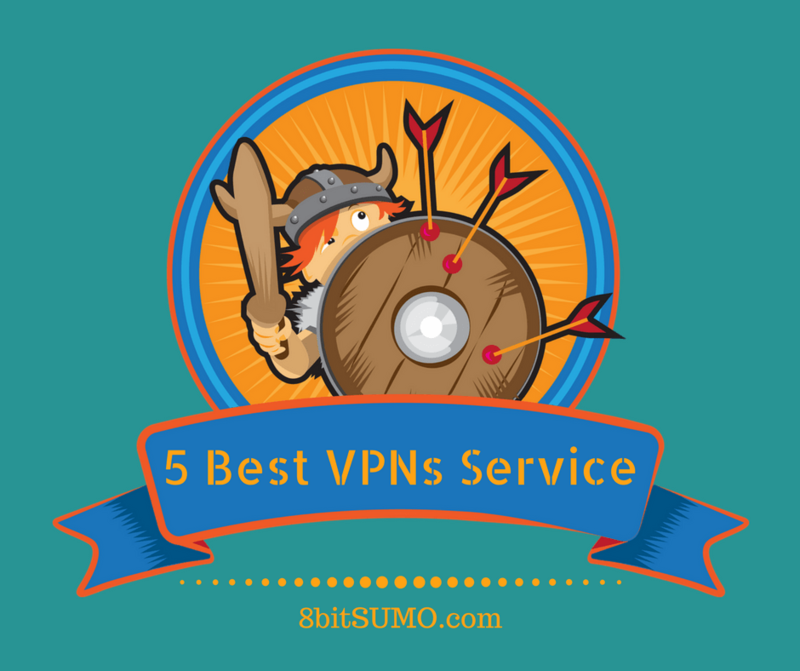 Now let’s take a look at the five best VPN services you can find and discuss their pros and cons. Based in Switzerland, Perfect Privacy has been around far longer than you think. Ever since 2008, it’s been out there on the market, and it has earned a solid reputation. Perfect Privacy is a high-quality VPN service with unique features that make it indeed one of the best VPNs today. For starters, forget about connection limits. With Perfect Privacy, you can connect unlimited devices or even install and configure it on your router. And it doesn’t keep any connection logs, so you’re completely anonymous. That’s not all. Perfect Privacy offers its user TrackStop, a built-in ad, malware and tracker blocker. So, you don't have to worry about false ads or ads, which track your online behavior. Moreover, all malicious programs are blocked at the VPN level, far away from your devices. But perhaps the most impressive feature of Perfect Privacy is the custom multi-VPN cascade option. In simple terms, you can configure your traffic to go through up to four hoops before you connect to the desired website. For those of you for whom this is not enough, Perfect Privacy has introduced a NeuroRouting so you can use the VPN network to route your traffic dynamically. And all of these features are available server-side which means that they are active from the moment you turn your VPN on. Perfect Privacy is compatible with all devices and OS, but it comes with a price tag from € 13,49 (one month) to € 8,95 per month (24-plan). But it has a 7-day money back guarantee, and you can pay in Bitcoin. VPN.ac is a small VPN server that often doesn’t get the recognition it deserves. Based in Romania, a country with good privacy laws, VPN.ac offers you different encryption options and secures proxy browser extensions for Chrome, Firefox, and Opera. VPN.ac performs exceptionally well when it comes to protecting your privacy with no leaks or issues whatsoever. And you also get double hop VPN server configuration and obfuscation option to lift network restrictions. In addition to this, VPN.ac is one of the fastest VPN you’ll ever find. 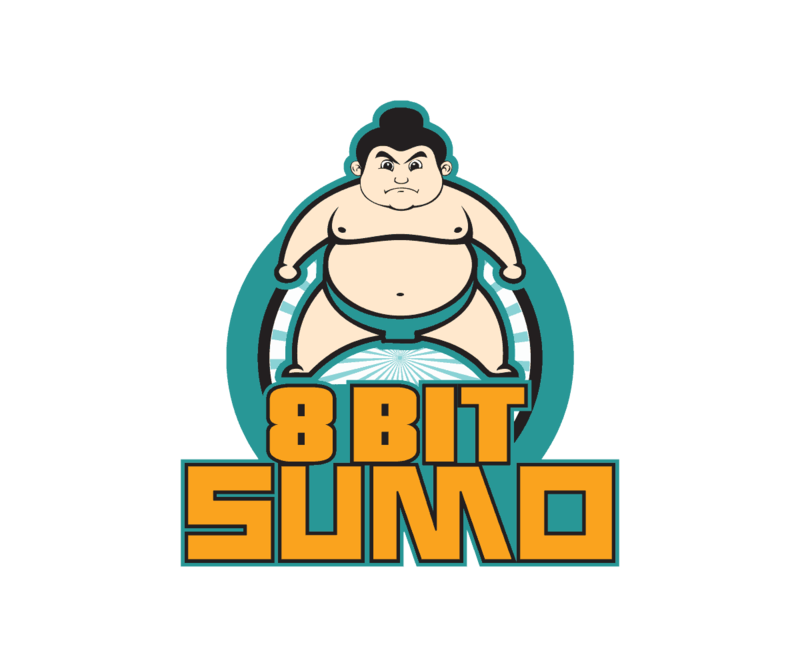 It offers user-friendly applications for all devices, and it’s compatible with Window, Mac, iSO, and Android. But you have limited connections available – 6 per subscription. The only drawback of VPN.ac is that it keeps connection logs. However, since these records are erased daily, I don’t believe it’s a real security concern. And the customer support is prompt and professional. The price is meager compared to what you get – starting from $9 for one month to $4.8 per month for one year. A VPN based in the British Virgin Islands, ExpressVPN earns its place among the best VPN service with fast speed, unlimited bandwidth, and 24/7 live support chat. Moreover, ExpressVPN offers 148 servers in over 94 countries, and you can switch between servers unlimited times. What’s more, ExpressVPN doesn’t log IP addresses, browsing history, DNS queries, and traffic destination. However, it does collect some minimal usage information such as choice of VPN server, date of connection, amount of data transferred. That’s not a big deal because the data can’t be used to track you. But the best feature of ExpressVPN is that you can use it on all devices – phone, tablets, laptops and it’s compatible with Mac, Linux, and Windows. The downside is that you can use only three connections per subscription, so you have to make it count. In addition to this, ExpressVPN is the most reliable and secure VPN when it comes to streaming content and unblocking Netflix. In fact, it’s one of the few VPNs that unblock Netflix on Android devices. Another impressive feature is the split tunneling, which allows you to choose which applications will run through the VPN and which won’t. However, this feature is available only for Mac and Windows users. ExpressVPN also has a network lock, but it doesn’t block all non-VPN traffic. It also offers VPN extension for Chrome, Firefox, and Safari. 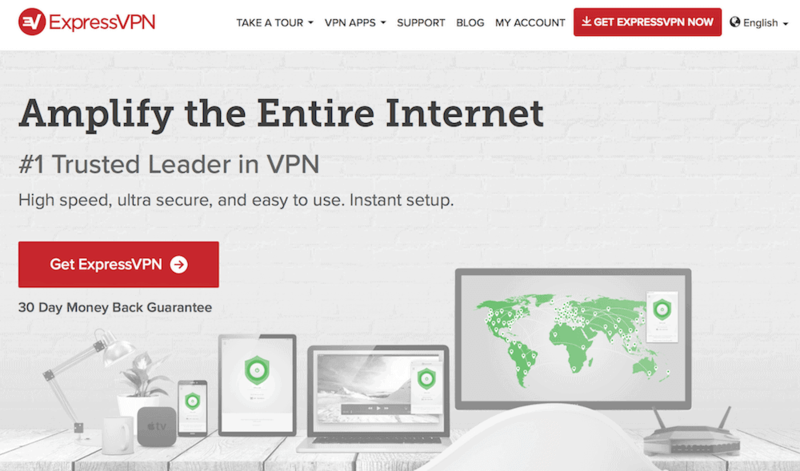 At the moment, ExpressVPN offers a discount on its 15-month plan so that you can get it for $6, 67 per month. Otherwise, you can choose a 1-month plan ($12,95) or 6-month one ($9,99 per month). In case, you’re not satisfied with the service, ExpressVPN has 30-day money-back guarantee with no question asked. Another excellent choice when it comes to VPNs services is NordVPN. Based in Panama, a privacy-friendly jurisdiction, NordVPN boasts user-friendly apps for Windows, Mac, Android, and iSO, and over 2000 servers in 94 countries. In addition to this, NordVPN uses double data encryption to encrypt your traffic twice, and it passed all security tests with no leaks or issues. Moreover, NordVPN offers you some excellent features like a kill switch, CyberSec – a malicious ad blocker, and browser proxy extensions for Chrome and Firefox. And that’s not all. You can use NordVPN with the Onion Network, and you don’t even have to download the Tor browser to connect to it. NordVPN takes care of everything if you choose the option Onion over VPN. Another useful feature of NordVPN is that it doesn’t keep logs and it has professional live chat support. And right now you can get it for $2.75 per month if you choose the 3-year deal. That’s an excellent price compared to other VPNs. And more importantly, you can get your money back in 30 days if you’re not satisfied with the service. The only drawback of NordVPN is that its servers are sometimes overpopulated and you can experience fluctuation speed or get disconnected. Moreover, the kill switch doesn’t block your Internet traffic; it simply closes the opened applications. The last VPN I will offer to you is IPVanish, which offers pretty good features at an excellent price. For starters, IPVanish passes all security tests with flying colors, and it uses solid encryption protocols. Regarding speed, it also does well, and it has over 950 servers in 60 countries, plus it offers unlimited bandwidth. However, you do have connection limits - five connections simultaneously on different devices, which is not bad for the price you’re paying. Moreover, IPVanish is compatible with all devices, and you can install it on your router, which counts as one connection. The one real drawback is that IPVanish app for Mac doesn’t work well sometimes and crashed. In addition to this, IPVanish is based in the USA and therefore subject to its laws, which as we know are not privacy friendly. But the excellent news is that it keeps no logs, so you’re protected from the spying eye of Big Brother. Currently, IPVanish has a discount on its 1-year plan so that you can get it for $6.49 per month, and you can pay in Bitcoin. ExpressVPN will be my second choice, and it’s a very nice option if you’re looking for a way to watch Netflix and download torrents. VPNs are necessary if you want to have a bit of privacy while surfing the Net and staying away from dangerous sites. You just have to find the one that suits your needs best.